"A contracted hitman" brought to Ireland by an Irish criminal gang to murder an associate of another criminal gang as part of an ongoing feud has been sentenced to six years in prison. Imre Arakas, with an address in Sopruse, Tallinn, Estonia, admitted conspiring with others not before the courts to murder James Gately in Northern Ireland between 3 and 4 April 2017. Arakas told those who were supervising the murder that "it could just be one shot to the head from distance". The 60-year-old was previously part of a movement to separate Estonia from the former USSR. Mr Justice Tony Hunt said Arakas was prepared to pull the trigger in what was a well planned operation. Arakas, who in the words of gardaí is "a contracted hitman", flew from Alicante in Spain to Dublin on 3 April last year. He walked around Dublin city centre, bought a wig and a mirror and was picked up that night by a white Mercedes van with the logo Blakestown Tyres. He spent the night at a house in Blakestown Cottages. When armed gardaí raided the house the next morning they found two pieces of paper with Mr Gately's address in Belfast and instructions on how to get his picture from Google - by typing in "James Gately Dublin Criminal" and going to the eighth row, second picture. On Arakas's Blackberry phone there was a series of encrypted chats, including instructions from those monitoring and supervising the murder plan. There was also a description of Mr Gately’s apartment in Belfast, his driving habits, where he parked, his visits to the gym, a description of his car and information on a tracking device that had been fitted to it to warn the hitman of Mr Gately's arrival. Arakas's replies were also found on the encrypted Blackberry. "It's possible to take him down later he comes out of car", he texted. "If not at the car, then on his way to the front door." "A silencer would be good," he said. "It is good if the dog (slang for a gun) is really accurate." He also said: "It could be one shot to the head from distance, and that's it." The messages were on a group chat accessed by a 15 digit code that could be remotely erased. The court heard that "a quick-thinking garda" photographed these messages as he scrolled through them. When he got to the last page, the messages disappeared having been erased remotely. Arakas, a married father-of-two, has had no visitors in prison and had a stroke in Mountjoy jail last month. 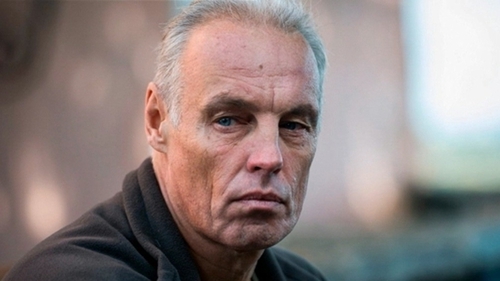 He served 15 years after being convicted at the Supreme Court of the USSR of theft, escape from prison and firearms offences. Mr Justice Hunt complimented gardaí, in particular Detective Garda Sean O'Neill who retrieved the texts. He said the maximum sentence was ten years, the headline on the scale was nine years, the discount for the guilty plea and other mitigation was three and the final sentence was six years in prison. The Assistant Commissioner In charge of Special Crime Operations said the conviction today provides additional evidence of the impact of effective collaboration involving law enforcement authorities working at an international level. John O'Driscoll said the gardaí wanted to express particular gratitude to their colleagues in PSNI for their role in achieving a conviction in this case.